Susan G. Komen – Miami and Ft. Lauderdale Charitydine.com, a popular resource for deeply discounted dining certificates has partnered with The Susan G. Komen foundation which is dedicated to the fight against breast cancer, and Susan G. Komen herself fought cancer with her mind, soul and body. The Susan G. Komen foundation, also known as simply Komen, is the largest organization dedicated to fighting breast cancer in the United States, and it is the most well-funded. Komen has spent over $2.2 billion since its founding on breast cancer research, education, advocacy, and social and health services. Komen depends on the generosity of private donors as well as public funding, and the organization has over 100,000 volunteers as well as partnerships in over 50 countries throughout the world, as well as 124 affiliates throughout the world. The history of the Susan G. Komen Foundation The Susan G. Komen Foundation was founded as one of the last wishes of Susan G. Komen, a young woman who was diagnosed with breast cancer at the age of 33 and died from the disease at the age of 36. Throughout her diagnosis and treatment she was focused on thinking about how to improve the situation for other women and how other women can benefit from disease awareness and prevention. Since the organization was first founded in 1982 – two years after Susan G. Komen’s death, it has grown rapidly to become the most well known organization dedicated to fighting breast cancer. In 2008 the name of the organization was changed to Susan G. Komen for the Cure and had a new logo trademarked. The Race for the Cure is the largest fund raising event for breast cancer research The Race for the Cure is the largest event in the world for raising money for breast cancer research. The Race for the Cure is held on a regular basis and normally features several events including a 5K women’s run, a 5K co-ed run, a 5k co-ed walk, and other races. The race symbolizes the race to find the cure for breast cancer once and for all, and the race raises millions of dollars every year to fight breast cancer. The organization has invested a total of $2.2 billion toward breast cancer research, and it has had success in improving breast cancer awareness and fighting the disease in nearly every country where it has a presence. The Miami/Ft. Lauderdale affiliate was founded in 1999 The Miami/Ft. 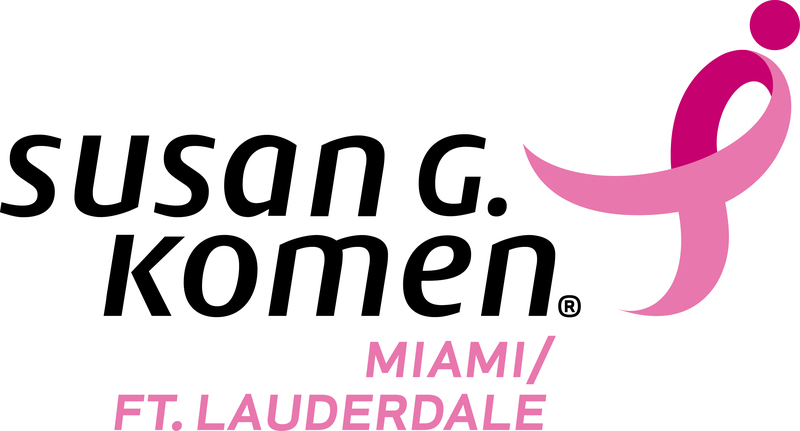 Lauderdale affiliate of the Susan G. Komen Foundation was first founded in 1999, and is the largest breast cancer activist organization in the region. It has the exact same principles of the national organization, which is to fight breast cancer on every front, and there are several other major cities that also have an affiliate of the Komen Foundation. 75 percent of the money that the organization receives is spent on grants for local hospitals in the area and organizations that provide breast cancer screening, research, education and other important services regarding breast cancer awareness. If you are looking to support a charity that has the specific purpose of fighting breast cancer, the Komen Foundation is the leading choice.